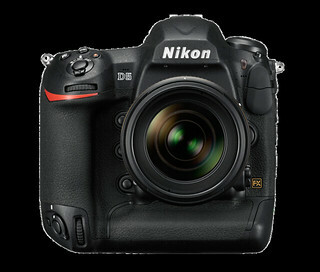 DSLR: Nikon D5 ($6,500), 24-70/2.8 VR ($2,400), 70-200/2.8 VR II ($2,100), spare battery ($140) for a total of $11,400. Mirrorless: Leica SL ($7,450) and 24-90/2.8-4 ($4,950), spare battery ($250) for a total of $12,650. I’m sure somebody will point out you could substitute a Sony A7RII and plethora of lenses for half the price, but that isn’t enjoyable to shoot, and in the long run you’re probably going to land up losing just as much in depreciation on the Sony than any of the other options. Rangefinder: Leica M240 ($6,380) and 50/1.4 ASPH ($3,950), spare battery ($180) for a total of $10,510. Throw in another Zeiss ZM of your choice to add flexibility and bring the price to the same ballpark as the others, if you wish. Or substitute for the M246 Monochrom for both a more interesting choice and to bring something to the table the other options do not have. Medium format: Pentax 645Z ($7,000), 35/3.5 ($1,600), 55/2.8 ($930), 150/2.8 ($1,400), spare battery ($40) for a total of $10,970. Or you could spend a bit more and get the ‘comprehensive starter kit’, which includes body, 55mm, 90/2.8 SR macro and 28-45/4.5 SR for $16,000. I’ve been down this route in 2014, but didn’t find the 645Z system complete enough to replace the Nikons entirely (no movements, for starters, slow flash sync); carrying both was really quite impractical and offered the worst of both weight and lack of redundancy. Left field oddball choice: Hasselblad 501CM (~$1,000, second hand) CFV-50C digital back ($10,000), 4/50 CF, 2.8/80 CF and 4/150 CF lenses (~$500, ~$600 and ~$300 second hand in EX+ to LN- condition respectively – about half if you don’t mind earlier C versions) for a total of ~$11,700-12,400. I’ve been down this road twice: firstly with a second hand CFV-39 in 2013, then once again at the end of last year with a new CFV-50C on promotional prices. I already had the camera and lenses, and liquidating some rare but barely used equipment covered most of the pain. Here’s where the question of value comes in. I’m looking at this from the standpoint of the enthusiast (pros will just buy whatever tools they need if the job justifies it financially): fundamentally, even if we are professional photographers and make a living shooting, we still do it because a) we enjoy it and b) we shoot for ourselves whenever we can. There are much easier, less stressful and more profitable ways to make a living if that is one’s sole priority. Perhaps I should rephrase that: the question of value is really one of enjoyment as much as anything; because if it isn’t fun – why do it as recreation? How can you be creative if you’re unhappy? It’s the reason choices exist in the photographic market: people enjoy different things, and have different needs and objectives. What I notice has changed significantly in the last year or so is a sort of convergence in the landscape of both demand and supply: the serious enthusiasts are moving ever further upmarket, and the camera makers are attempting to exploit ever narrowing niches to stay in business. Pros work towards the best ROI, and probably have an off duty camera preference (or two). The low end is getting more expensive: in my part of the world, the recently launched Olympus Pen F is not far off a D610 or D750 in price; the D500 and D5 seem to explore new pricing territory for Nikon. Granted, the D5 is the current uberkamera – but every successive pro generation has been steadily increasing in price by a not insignificant amount. And this doesn’t even count the 18% price increases Nikon are introducing soon. Leica have always been at the steep diminishing returns end of the value scale, but the new releases are pushing things even further. On the other side of the market, the medium format camp is moving in the other direction: Pentax and recently Hasselblad are coming down. The middle is the battleground I described above: it’s a tradeoff between resolution, speed and bragging rights. All of the sensors (except the M) are also state of the art and of pretty much the best image quality you can expect given the other parameters. If you’re a well-heeled amateur or pro, the choices are now better (and more confusing) than ever. Those who’ve been curious to try medium format can now do so at a cost that was previously unthinkable; note that we’re not talking older generation sensors and bodies, either (with attendant performance issues and severely limited shooting envelopes). A Hasselblad V might be 100% manual, but it’s also every bit as responsive as the latest generation digitals: setting changes are immediate, press the button and everything happens without delay. There’s also something very pleasingly tactile and solid about the camera and lenses which is rarely found today – they really don’t make them like this anymore. My body is 20+ years old, as are most of my lenses, and they still feel new. On top of that, there’s something very distilled about the whole experience: you have focus, aperture, shutter speed, and that’s pretty much it. Power on, set the ISO and feel free to ignore the digital back entirely after that until you have to change batteries (roughly ever half day with the thing left on) or cards (far more than 12 shots of the film backs). There’s something refreshing about the un-digitalness of the whole experience. Having seen many, many people shoot – I actually find that 90% of them produce significantly better results when working in a slower, more considered way; tripods are both beneficial to image quality and the photographic thought process. Unsurprisingly, this works just fine with medium format – though the Pentax is very easy to use as you would a normal DSLR, and the Hasselblad V can be used much the same way if equipped with handgrip and prism (plus you have the benefit of being able to strip the whole thing down to basic components if size or volume is a priority). There is undeniably something different about the medium format files – even if we’re talking about sensors that are ‘only’ 44×33 and not full 645 (or 6×6); even at smaller sizes, the difference in dynamic range and tonal quality is very visible. Even more so if you print. You can’t really get around the limitations of physics: every improvement that can be applied to a smaller sensor area can also be applied to a larger one (and is, in the latest generation of 44×33 50MP CMOS and 645 -really 54×40 or so- 100MP sensors). Bigger photo site wells are always going to be able to differentiate between more luminance levels, affecting both color and dynamic range – and simultaneously provide a higher signal to noise ratio. More of them are always going to be able to resolve both more high frequency detail and subtler tonal transitions. I’ve been a long time follower of your (remarkable) work and I was happy to see that you’ve been in my home town (Porto, Portugal) recently. I hope you’ve enjoyed it! I currently own a Pentax 645D and I am considering a switch to the 645Z. I am very happy with the results I’m getting from the D, but, after having briefly tested the Z, I was in awe, especially in respect to its versatility (high ISO, live view, etc.) when compared to the D. Therefore, I am about to take the plunge. 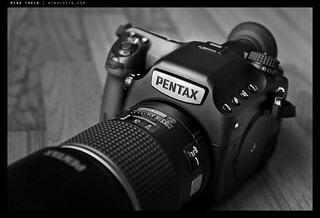 However, in the meantime the Pentax K-1 came along and its results seem very, very promising. I’ve downloaded images and compared it as much as possible to the Z and I wonder whether the price difference is justified… And the K-1 offers more versatile (read cheaper) options as regards wide angle lenses, which is something I’m very keen on. I know it is always difficult to ask (or answer, in this case), but, what would you do in my situation? I do love the aspect ratio of the Z, the medium format look, and I feel very comfortable shooting with it. It just feels very natural for me. However, not being a professional, I need to bar in mind the financial part, and a full K-1 + 15-30mm + 24-70mm + 70-200mm kit would cost me much less than investing on a new Z. Your advice would be highly appreciated! Thanks for your compliments. Yes the Z has a much larger shooting envelope than the D: but you need to ask yourself what you want most out of the camera – resolution, single shot resolution, dynamic range, speed, wide angle? Not having shot with the K1, I can’t honestly answer. But there is definitely a difference in sensor performance between say a D810 (which shares a sensor with the K1) and 50MP MF options. The shooting envelope of the K1 is probably going to be larger given lens speed and stabilisation, though. Well, ideally resolution + dynamic range. Those are the most important aspects for me. And that’s precisely where the K-1 seems to be shining. Maybe not as much as the Z, but, as you mention, quite close to it… Therefore my dilemma. Anyway, your recent decision to switch to MF might reflect the best option. Well, I do stack with the 645D. And while doing so I get tremendous, fascinating results (that’s also how I go wide, not having the Pentax 28-45mm lens). In your article, you write that “…it’s not easy to go back to a smaller sensor once you’re used to the output of a larger one. Having spent quite a bit of time with the Hasselblad CFV-39 and Pentax 645Z, and as good as the Otuses and D810’s files are – especially in dynamic range and highlight handling – there’s still something about the larger format”. Well, with the K1 I fear I might be loosing that, (while gaining a bit more versatility, it’s true). I see that for you that “something about target format” did make a difference. That isn’t as much difference as I’d have thought – in that case, probably not. You can always get the one 28-45 zoom for the 645Z, and supplement it with a 55 (which you probably already have) a Hasselblad Zeiss V 100 (cheap second hand – about $600) and adaptor, and an A 150/3.5 MF…(even cheaper). If you need longer, you’d already have the adaptor and a Hasselblad Zeiss 250 is about $400. Thank you very much for sharing your opinions, Ming. Lots of success your you, and keep up the good work! You clearly have not been happy with the Sony A7R ii but I am surprised you don’t find it enjoyable to shoot. I have used SLRs for about 35 years, beginning with Minolta cameras, and graduated to pretty well everything except Nikons since then in 35mm and MF. I have been using Sony mirrorless systems almost exclusively for the last three years for a variety of genres but mainly birds and studio portraiture and find them very intuitive to use once you take enough time to figure them out, i certainly dont find them unenjoyable to use and would be interested to know why you think that. I’ve covered that extensively here. In short, it’s far too menu driven, and those options are often in conflict with each other or hard to find. To make it worse, I don’t have any confidence in the reliability of the hardware – having seen and experienced far too many failures and complete lack of local support. Add to that very poor responsiveness and long file handling times, and you just feel the whole thing is slow, laggy and unresponsive. Image quality does not make up for it, either. To top it off, ergonomics are poor. Sony themselves admit that you need a certain amount of glass to achieve a certain level of optical quality to cover the sensor size: look at the GM lenses. When I pointed this out, legions of internet experts cried foul. There are no shortcuts in optics! And a 1kg lens is not going to be comfortable to use on that small body, period. When you add all of this up – lenses, grip, batteries – I might as well carry a camera that’s more responsive and comfortable. One observation is that since photography has been democratized significantly, it will continue to move upscale in order for the leading “camera companies” to continue to profit (most are well diversified, but that’s beside the point). That movement creates convergence at the high end, but also filters down into the consumer market. Twenty years ago (or so) the organization where I worked purchased about 100 DCS400 series cameras (420s and 410s) and upgraded the computers while closing down most of the darkrooms. I figured then that there would be some kind of Moore’s Law applied to this, but I had no idea we would be where we are now. Looking at the large sensors, the quality of the glass, the 36 and 50MP based cameras and the flagship speed demons is just as mind boggling as the first time I held a DCS200 and listened to it write a file. 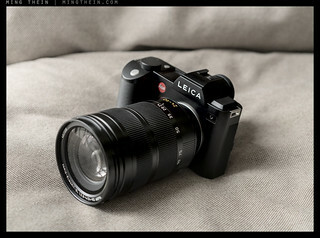 I would 2nd consideration of the Leica S006 . A demo body and the standard 70/2.5 APO lens can be found in the US for $6500 . The lens are terrific and as a complete line unsurpassed . Where else can you find lenses like the 24/3.5 (19mm FOV) , the 100/2 and the range of CS lenses. For a little over $12K you could have the 28/70/120 combination . You have a body that handles like a DSLR ,weather sealed and with great lenses ….you give up medium ISO performance above 800 and some DR at base ISO . At base ISO on a tripod I haven t seen better . So it’s Hasselblad’s CMOS offerings that have prompted you step into their digital system? I’m really surprised to hear that 50MPx fat pixel CMOS backs like the CFV50C are down to the price range of very nice full frame 35mm digitals. During a slow period between camera releases a few years ago I invested a small amount in used Hasselblad 500C gear including an SWC, then added a P45+ digital back after scanning film for a while. As you say, the film camera gear and all those quite nice lenses are paid for and aren’t going away. So upgrading just the back and riding that technology curve is an attractive option. They are fun to shoot with, too. But do you think the old MF Hasselblad gear is tight and precise enough to support the latest digital backs of 50 MPx and up? Is the difference between 500, 501 and 503 significant? I’d look at getting a newer body; the old ones by now have some wear on them and probably won’t mate as precisely as you might like. You will almost also certainly have to adjust the mirror zero position for accurate focus. I’ve personally had a 500C, 501C, 501CM, SWC/M and 903 SWC; the 500 was loose (and somewhat abused), the 501C needed mirror adjustment, but my 501CM is spot on. The SWCs had planarity issues. However: if your P45+ works fine, then I think you should be okay. Just remember you’ll need a 90deg prism to use the CFV because it doesn’t mount in both orientations like the P45. Hello, thank you for this. Have you had a chance to try out the new S007? I know the previous iterations of the S line had a CCD sensor, but not this one.. Fascinating article, Ming. Many of my “pro” friends have toyed with the idea of giving MF a try but the ROI for what they do just does not justify the expense, so far. Things are changing rapidly though. I have seen numerous predictions that Fujifilm will be getting back into the MF medium. That surely will be interesting, if it happens. In my view it would be nothing but a huge positive for MF by adding more completion. I’m retired now but would be willing to take a serious look at the Fuji offering, if it happens, just to go out with a BANG, if you will. There is something special about MF images. The market is odd: there was a point where MF made sense because there was a much larger middle and high end which would pay for quality; that went out the window with digital, and the costs of MF relegated it to only the highest of the high end work; now we seem to be converging back to a point of some kind of affordability. The 645Z with adequate lenses, for instance, is really not that much more than a D810 and adequate lenses (given sensor-lens performance demands etc.). I think there’s no question a more ‘affordable’ MF offering would sell in large volume if only for the reason there are a lot of moneyed hobbyists looking for something different without price being a major issue – Leica is a good justification of the existence of that market. Fuji has enjoyed reasonable success from it too; I don’t know if their brand is strong enough to sell a (likely) $6000+ product though. I feel like Fuji is the only company that has actively espoused interest in bringing a new MF camera to the market, and given their history I think they are well suited to the do so. Fuji’s medium format bread & butter was primarily in rangefinders, not SLRs, and while the size of the mirror box can be absorbed with relative ease into the packaging of a 135-format (or smaller) camera, that’s just not true when you get into swinging a 44 x 33 mm mirror (or bigger) – you could practically fit a smaller format mirrorless camera into the air space contained in a Pentax 645 body. A digital GA645-like mirrorless MF could likely put medium format quality into the body no larger or heavier than a D810. And I can only believe there is a non-trivial amount of engineering eliminated with the deletion of such a large, heavy, carefully damped reflex mechanism, which would help economize the camera as well. Not to mention, being mirrorless would ease the initial lens requirements of a new system, allow users to take full advantage of all the Hasselblad, Pentax, and Mamiya MF lenses on the market that are looking distinctly underpriced at this point. As you say, I’m not sure the Fuji brand is necessarily strong enough anymore to play in that category, but if such a camera delivered better-than-FF image quality in an accessible, good value package, it seems like it would find some friends. Just no X-Trans, please! You make great points Andrew. I not sure Fuji is strong enough either. Their largest market is in Japan and MF is not their choice there. I personally would love to see it and I doubt it would be X-Trans. My guess is developing a new MF sensor for a very small market is unlikely to work economically, so it’ll probably be a 50MP Sony CMOS variant – which is absolutely not a bad thing at all. Excellent points. So little very high end printing in this digital age is causing a major shift in equipment needed for the job. I’m speaking in relative terms of course. High end enthusiast might be their market and that might be a tough sell. I’m not sure about that – if the price point isn’t too ambitious, there’s definitely a market…look at Leica. I’ve been pondering this point for some time. I’ve now decided that, instead of upgrading to the next iteration of Nikon after D800/D810, I’d rather try something different and exciting. I’ve kept all my macro gear for the D800E (inc. of course the 85PC-E which I now use most of the time for that) along with my 70-200 and 300f/4, but have traded in my Zeiss 21, 50f1.4G, Sigma 15 fisheye, and MBD-12 grip for 3 large-format lenses (Nikkor 75SW, Schneider 150 APO-Symmar MC, Nikkor 210), and bought a Linhof Technikardan S45 (s/h), with 67 roll-film back and extra bellows, for less money than a new basic 35mm Zeiss lens. Ok, so new accessories are (v) expensive, and film is tricky to come by, but however this experiment goes, as a keen and relatively adventurous amateur I reckon this is a more exciting option – if you’re willing to give in to a much slower approach, for landscape and scenic work – than simply to throw more money at Nikon tilt-shift lenses into the medium future and second-guessing what direction Nikon is going to take and how much that direction will cost. You’re definitely going to get different results if only for the simple reason the hardware forces you to slow down and think/ frame differently. No matter what CaNikon does, I just don’t see that happening. Indeed. All part of the fun! Who knows what will happen, but if it doesn’t work out, I will be able to trade the gear in as part of another digital upgrade. A nice place to be, if there’s no pressure on one’s shooting outcomes. Hi Ming, What made you sell the A7RII? You mentioned that it’s not enjoyable to shoot with. Can you elaborate on that? I keep thinking I need 12 batteries for 2 A7RII to last a 10 hour shoot without use of chargers. Do you think your opinion may change after you get yours hands on the 3 new G Master lens? Why would I buy the G Master lenses when a) I no longer own a Sony or any parts of that system, b) the size of those lenses is so huge as to completely defeat the point of compact mirrorless – and on top of that, balance is going to be terrible with so much weight twisting the camera out of the (small) grip area; c) there’s no commercial or personal justification to buy those lenses and Sony Malaysia has no interest in loaning review samples, and finally, d) reviews of any Sony equipment only seem to bring trouble? Surprised the Sigma Q wasn’t mentioned here, despite it’s challenges 🙂 If used appropriately in the studio at ISO100 w/ a gray card, I find it difficult to beat for the price ($699!). Avoid Tungsten! Thanks again Ming for a great article. Shooting envelope – for the same reasons I avoided other older CCD MF options. Ive een shooting with a Mamiya 7 and recently an M4 Leica. The gap is very large in the final output. The haptics of the M4 i prefer though if asked what would if just one itd be the Mamiya. Interesting analysis on the status quo… Personally I shoot with a 645Z and make up for this systems “gaps” with a 5DSR and some lenses that I believe give me what my medium format camera can’t. I own an 11-24 which is simply awesome in everything from tight architecture shots to wide open landscapes as well as the Otus 55 and 85 lenses (which in my opinion give me better detail than any of my 645Z lenses can) and a large telephoto for birding. Currently waiting for my Otus 28 to arrive… very excited to try this one out for landscapes. Also I must add that Canon’s new 35/1.4 is very much on-par with the Otuses in both micro-contrast and color fidelity, even against harsh light conditions where the Otuses usually shine. So Ming, I have to somewhat disagree here. I think most enthusiasts would be better served with a D810 or D750 if they’re doing the DSLR thing, and those cameras are at least $4000 cheaper than the D5, and arguably (at least for the D810) more capable than the D5 for most situations. Of course, if one is a wildlife or sports photographer or working in extreme environmental situations, then the D5 might be better. I did own the original Pentax 645D when it first came out then gave up on it because of the lack of new lenses for it. I then shot with a Haseelblad 203FE and CFV 39 back, I enjoyed the complete manual experience yet I found myself shooting a lot of vertical images and it became a pita to rotate the 203FE all the time. I ended up trading my Hasselblad kit for a used Leica S006 and since then I have not looked back. Love the S especially how it handles and feels, yes the glass is very expensive yet there are some good deals to be had on used S glass which makes the Leica S system more affordable. Just another option out there for one to consider. I’ve reached the level where a certain look has become more important than outright technological levels. It could be because I’ve seen other professionals spend on the latest, only to struggle to generate profits. There is also the aspect of clients simply not noticing the difference. Another eye opener is how many pros are still shooting with fairly old (technologically speaking) gear. It’s no longer easy to make a living in this profession, if it ever truly was easy. The other change, due to a difficult should injury, has been a look at lighter gear. Clients are finally more accepting of smaller cameras, because the results can be quite good. Finally we are getting lighting gear that is also powerful and light weight, other than the prices. Airlines have also pushed this direction for me, because it’s been a hassle to carry much of anything onto a plane. One other area, which you don’t touch on with this posting, is what we do with our camera support gear, in order to use the latest and greatest. The never-ending cycle of computer upgrades, and software updates, has lately become much shorter. We may be able to use our monitors longer, but the laptops and desktops are becoming door stops at a much faster pace. I’m hoping at some point we get viable RAW editing using tablets (other than Microsoft Surface Pro), and a reliable way to do that with a tablet connected to a larger monitor. This again would lighten my load when traveling. Agree on the look part. My thinking behind all of this is that there are some tools that make it much easier to get that look – for whatever reason – and for me, that’s MF. It might not be the same for everybody – I can think of a lot of applications where M4/3 may well be the preferred choice, for instance. Support gear: if your computer can handle 36, it seems to handle 50 just fine. I’ve been using the same Mac Mini for four years now; no issues. Still fast enough. Subsequent generations don’t seem to see that much of a speed boost, especially if you buy relatively top end to begin with. I’m not entirely sure the support hardware thing is a problem so much as actual hardware longevity…with which Apple has not been impressing me of late. That’s sort of my issue with Apple. I’m using the last MacBook Pro series in which it was still possible to upgrade the RAM and harddrive (not soldered in place), and it still uses somewhat standard connectors. This move towards less connectors, or more proprietary, is what I really do not like. I’m also using an NEC and not an Apple branded monitor. After many years of various Apple products, I’m getting to the point that I don’t like the much more closed nature that the system is headed. Ideally Google would get Chromebook working better, but that’s still not quite there. Really hoping for more viable choices in the future, when I will need to upgrade. I’ve been running bags of Speedlights for a while for portable lighting. Finally decided to weigh all the lighting gear and connectors I carry. The I looked up the weight of a few battery pack set-ups. I found that the Speedlights together weigh more, and they don’t put out as much light. This will probably be my imaging gear upgrade this year. Apple honestly seems to have thrown reliability and customisability out the window for profits and ‘user friendliness’ – a decently specced iMac – probably the only thing that can replace the Mini – is something like 3x the cost of what I paid, including the upgrades (dual 1T SSDs, 16GB RAM). I’m honestly balking somewhat. As for bags of speedlights: I personally like the flexibility and redundancy; but yes – it takes four or five of them to make up one Profoto B1, and the weight isn’t that different. Thing is, I need five little lights more often than I need one big one (for the moment, at least). At least with the iMac you have the option of upgrading the RAM yourself. Apple charge an obscene amount for the RAM but you can buy compatible DIMMs from Crucial for about 1/3 of the price. Also you can skip Apple’s expensive SSD upgrades and just plug in an external Thunderbolt SSD, which are now about £200 in the UK. Can you boot off the externals though? Yes, using Target Disk mode. So basically the internal drive is redundant. However if you want you can spec it with an internal 256GB SSD as a boot drive and for Mac OS X and then use the externals for all the storage. Interesting. The 256 SSD is stupendously expensive though. I have some spare SSDs lying around, so it may make more sense to put them in a toaster and boot/store from that. If you’ve got a spare SSD lying around then you should be able to test this with your existing Mac Mini (via USB or Thunderbolt). 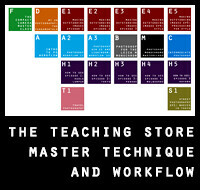 There are some instructions at http://www.apple.com/uk/shop/question/answers/readonly/start-up-drive-via-thunderbolt/Q2PFYTDY4T2HCYAAK?tagName=mac. I don’t think it’s the DOF thing – an Otus 85 at 1.4 will have shallower DOF than your usual 120/4 (or 2.5 at best) on MF. I think it’s about color and tonality more than anything; and we’ve now gotten to the point where you get at least as good a file from MF as smaller formats, and usually better – sometimes much better. Depends how you work and what you shoot too, of course. Oh one more questions about the CFV50C – is there a way to adjust the capture setting so it shoots vertically? This is the biggest challenge of course with waist level viewfinders that shoot 6 x 4.5 or similar ratio. The sensor is mounted in a fixed landscape orientation. You get a square crop, but anything else would be physically impossible. Why not just buy a 90deg prism? HC4s can be found on Ebay for not that much money. I recently looked through all my 2015 images, and picked my top 10. My preference, which by no means can be said to be objective, was strongly in favor of MF images, in my case mainly S006, now S007. I do not intend to start a discussion on “which camera is best”, just confirm Ming’s notion that MF is special. I can’t talk about ROI, I am not a pro, but have built the kit and spread the costs over many years. I just love to work with that set-up, handheld and tripod. Based on audience feedback, I think even un-educated people see a difference. Great article and thanks for it. 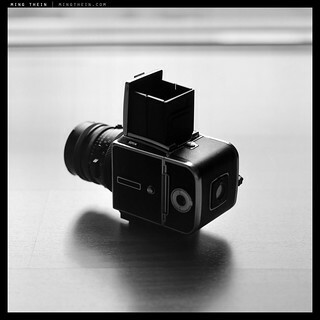 As a medium format user, I like hearing other peoples experiences. I have one question. Have you ever experienced a problem with the CFV 39 or CFV 50C batteries coming a little loose and not making proper contact with the digital back, and therefore resulting in the whole thing powering off with no real reason. I had this problem with my Hasselblad CFV 39, and my conclusion was that the design of the open battery might have contributed to the problem. And it has prevented me from buying the 50C, though it remains tempting and I love the V experience so much and image quality. I appreciate any thoughts. Nope, no issues in my use of either. My CFV-39 was an ex-demo and battery was snug. The 50C has no play at all. Could it be the batteries themselves, perhaps? Hi Ming, I am surprised at two omissions: the Leica S (typ 006) and the newly announced Canon 1DX-II. A brand new Leica S-E can be bought for US$7500 and a brand new 70mm Summarit for $3500, or a total of $11,000. Or a used S-006 and 70 S lens in mint condition can be picked up for $1-2000 less. All on eBay right now, as a matter of fact. The Canon 1DX-II looks superior to the Nikon D5 on paper, and costs $1000 less. Any reasons for not considering these? Sorry, the Canon 1DX-II is $500 cheaper, not $1000. I didn’t include any CCD options because of the very limited shooting envelope. That rules out even cheaper options like the Pentax 645D or a used P25+ etc. The 1DXII wasn’t announced when I wrote the article (and my familiarity with Canon is limited). Speaking of trade offs– I just purchased a Sigma DP2Q. Its flaws, in an odd way, add to the fun/charm of the camera (I’m a tripod user, anyway). My D750 hasn’t seen a lot of use since the sigma arrived, as I’m very smitten with the files the Quattro produces. Now I’m debating whether to pick up another Quattro or possibly a used Merrill. This Sigma/Foveon obsession may not end well… I could wake up in a month, staring at a shelf full of Quattros (and eight batteries! ), wondering why I just didn’t buy a D810. Based on my extensive use of the Quattro and Merrill line (only at ISO100!) IN THE STUDIO, I imagine you’ll remain happy with your purchase(s). I do love the D810 at ISO64 in situations with extreme highlights. I wouldn’t bother with the Merrill. Ming’s printer will back up the fact that the Quattro looks better in print form (and can do anything the Merrill can, and possibly better, w/ proper post work). The Quattros also have a much larger shooting envelope, in my experience. Hi Ming, a nice thoughtful review of the options. I feel you may have left out one contender, however. Leica S (006) – used body $5 – 6K, used lens $3 -5K. Perhaps even two lenses if body price is low enough. Prices may drop lower as the new S starts to ship in quantity. I consider the S a genuine “other” choice camera system. I have shot the CFV-50c with Rodenstock glass and it takes a loupe up close to tell the difference in resolution between it and a similar image shot with D810/Otus. But the MFDB produces large prints which have a certain depth of color and look not attainable from 35mm FX – they remind me of MF slide film. Getting the most out of the 50MP CMOS is heavily glass-dependent. I don’t know how many of the LF options really resolve adequately. With the right lenses the difference in resolving power is there – above and beyond color and tonality, of course. As for the S2/S006: I left it out for the same reason the 645D is not included; the CCD sensors have too narrow an shooting envelope. And that 501CM is the only one of this bunch that’ll be around in another 20+ years! Not sure the next generation are going to have much of our old gear to get excited about. I do worry about digital longevity. But for the most part, the digital stuff must generate a positive ROI for me to justify buying it. Sometimes we do silly things in the name of creativity or lust though…to be fully rational would be boring, and I’m already accused of being soulless enough as it is! Well Said. I love older cameras and while I shoot newer medium format (Fujifilm GF670W), this camera too will be a classic in the future, assuming the electronics in the meter and shutter hold out, which they should, at least for the next 20-30 years. My Contax RTS III, is another amazing camera that is a joy to shoot, being almost 20 years old. A very interesting article, for which thank you. However, I suspect one can turn the argument on its head and ask whether splashing out $10K+ on the kind of equipment you cover here is in practice going to impede rather than advance someone’s photography and their enjoyment of it. There are quite a few things for which medium format is not really suitable, for a start, and quite a few situations where “big” camera equipment is either unwelcome or impractical. Even small tripods are frowned on in parts of many cities. Then there is the question of personal security. There are plenty of places where being seen with $10K+ in your hands is inviting trouble. And finally, there is the temptation to produce yet more of the oh-so-perfect, heavily processed images – especially landscapes – which have come to dominate parts of the internet. It’s almost as if people are forgetting what things are like in reality, as distinct from on a screen or paper. Sub $2,000 “full-frame” medium format… some day. Hopefully without the mirror or just a very well damped one. It’s probably possible if the sensors are produced in sufficient quantity – but we of course have the proverbial chicken and egg of pricing, minimum quantities and demand. The H5’s mirror is quite well damped, but I’m told the new Phase One XF is superb (as it should be, at that price). Just an interesting observation on pricing convergence in the market though. False economies abound, and I think as things overall get tighter – it’s going to get harder for companies to survive. They’re going to have to innovate – hopefully before the price war plays out too far to the point there’s nothing left to work with. You could also read the price convergence as convergence of different sensor sizes’ capabilities in practical terms. 4/3″ sensors are above or close to the sufficiency level for more people today than 5 years ago, even in the premium camera category. Two reasons: 1) improvement of sensor technology across the board, 2) more customers shooting for web output even in the premium camera segments. Interesting to see in the next 5-10 years whether sensors make another big jump and whether 4k+ displays bring back the need for sharpness and resolution, even on the web. And how those will affect the industry. Hmm…convergence in practical use and ability for most users to deploy, yes; ultimate capability, no. There’s definitely a massive disconnect between capture and output for most people. But before that, we’re going to need the bandwidth, too. The problem seems to rely on loss of tonality. 1- Specialty resolving lenses with complex optical config for dSLR (ie OTUS) do not communicate the proper micro-contrast and therefore lack the proper tonality that less resolving MF lenses with less complex optical config (thus having higher micro-contrast/tonality) would benefit regardless of sensor advancement (i.e. the 80 2.8 on the recent H5d images). Resolution is one thing but its absolute pursuit sacrifices tonality. I believe you can regain that tonality you seek if you physically match optical configs on respective sensors. 2- Sensor gain is electrical, not physical. It’s analyzed/processed later by SNR firmware that improves the rendition of tones and detail. Sensors with superior gain (d7100) and firmware will record better tonal information than those with lower (d700). Value is in the timeless and the unmovable. Resolution is always changing/rising thus not timeless yet being sold as timeless. Tonality on the other hand will always exist regardless of platform or resolution. Sorry, but what you’ve stated here makes no sense from an engineering or physics standpoint. 1. The Otus lenses benefit from newer glass types, coatings and optical design/simulation advances which older MF glass does not have – resolving power is simply higher, and that is also a function of ability to differentiate micro contrast (which in turn affects tonality). Saying the Otuses lack micro contrast makes no sense as there are no lenses that are better than this (and simply none in MF: try mounting a MF lens to a DSLR and compare it with an equivalent Otus: it isn’t even close). However: the sensor itself plays a big role; the smaller the photo sites, the less tonal information is retained. This is likely the difference you’re seeing. 2. You cannot compare a D7100 and D700. There’s been five years of development of electronics between them. For the same generation of hardware, a larger area will always collect more photons than a smaller one. That results in a better SNR ratio and a stronger signal overall. Look at the difference in pixel level and overall quality between the current generation of Sony CMOS sensors: 4um in M4/3 vs 4.88um on 36MP FF and 6um on 50MP MF. The MF cameras are clearly better at the overall and pixel level. It isn’t because of the MF glass, because those lenses do not resolve to a level of critical sharpness (indicating a lack of micro contrast) and look flat (indicating a lack of global contrast) on smaller formats. And it isn’t processing power either, because M4/3 and FF are shifting far more information (16MPx10fps is 160MP/S, or 36MPx5fps for 180MP/S vs at best 50MP at 0.8fps in the Hasselblad for a whopping 40MP/S). Tonality is NOT independent of resolution. You cannot represent a tonal transition without the ability to sample at different spatial distances. The more intermediate distances you can sample, the more subtle a tonal transition you can represent. They say images are worth a thousand word. I propose this tonality faceoff between newer more resolving glass types and 40 years old ones on a sensor we both know. Sure. Put an Otus 85 on a D810 and compare that to a Hasselblad C 80 – that’s a pretty wide range in age/design. Make sure you measure micro contrast – maximum/minimum luminance values across a small portion of the image and macro contrast – maximum/minimum luminance values across the whole image. You can perform the test to rule out contrarian bias, but honestly I know what the answer will be because I shoot with both lenses regularly. I could do it with a lens of similar intention (Sigma ART 50 1.4) in the near future as we can’t rent OTUS lenses in our camera stores yet. I simply offer to look at the tonality through another perspective as the images on the blog clearly display the superiority of tonality over resolution. Good point! I like where this is going. I could send you the raw files to play with when done if anything! If we aren’t adding the resolution argument in the tonality equation, compression shouldn’t influence too much the clear tonal differences as shown in the comparison article of optics of 40 years gap. Your comparison is surely interesting for the two lenses under test but how can you draw any conclusion based on that? Your little esoteric explanation has no scientific or engineering background, worthless. Lenses have never been that good from a technical standpoint, period. Adrien, you should be a little more open minded. It’s been known for ages that the more elements you put in an optical design, the lower the contrast. If he’d had multiple elements to add to his designs, even Galileo would have been to see this effect in the first generation of telescopes. I think Yannick makes a good point… there are always tradeoffs in lens design. If you tilt a lens towards spatial resolution via additional coatings, elements, and complex lens designs I think it’s quite possible some micro-contrast bite in the process might be sacrificed in the process. The sad thing is that all of this so out of our hands… basically it is being driven by camera companies being able to iterate nothing beyond integrating higher resolution sensors. This has many people are now shooting at resolutions way beyond what they need/use and set lens design on a resolution binge in tradeoff for natural micro-contrast. And don’t get me started on the other tradeoffs of high resolution FX sensors… higher per pixel noise, worse color from the weaker CFA’s required for the smaller pixel wells, and earlier diffraction limits. Right? With many people advocating the use of resolution centric lenses over rendering lenses, this is truly out of our hands. It will likely kill GAS for many of us though! More money in the bank for better things, less to worry about future camera system builds. Nobody contested the fact that tradeoffs have to be made. You surely can’t expect the same performance from a plastic-fantastic 50mm f/1.8, a 40 year-old f/1.4 and Zeiss Otus, what a surprise. I totally agree with the fact that more resolution is not a very interesting goal to pursue for most of us but I disagree with the biased statement that lenses were “better” before. An Otus, despite its complex optical design, shows excellent micro-constrats AND excellent resolution and this is not limited to “new” designs, just look at Leica and Mamiya 7 glass… Don’t get me wrong, for my photography (mostly medium format film), I prefer the rendering of older lens designs as they show a character that I personally affectionate but it does not make them technically better. You base your analysis on ONE lens, the Nikkor 58mm f/1.4, which is obviously not the best Nikon has to offer and you conclude that ALL lenses from ALL manufacturers are flawed. That is the problem with your analysis. Well, it has been known that some photographers prefere older lenses, many of them single coated for digital B/W pictures getting according to them softer shadows and more subtle transition between light and dark. Since begining of lens design there was a fine balance between resolution and contrast. Some designs leaned toward one som to other. For some nowdays combination of high accuity of sensors with razor sharp lenses is too much. The best example of horses for couses movies. Only there you can hear about decisions the directors and cinematographers regarding the lenses to be used. Sometimes it sounded like talking about vintage wine. Soft, mellow, unforgivingly sharp, velvety blacks, luminous shadows and so on. When did you hear the stuff like this among photographers? . Perhaps some large format film dinosaurs raving about their old Ektars or new Cooke Portrait PS945s. Alas we are in modern times where letter writting is no more art and content of message without its form is a new king. No more talks about fine points of views. As Marshall McLuhan forwarned about the coming times- when you got the message, you hang up. Sorry for sloppy writting- looks I`m best example of vanishing art of lettering. Horses for courses in movies, of course. Done on show floor so less relevant, but it was the only time I had access to an OTUS lens. RAW files included in the link. I’ll have a better tripod shootout with a Sigma ART later on. Hope this tonality faceoff between old and new lenses help you see clearer into my point. Yannick, you have an interesting blog, and there are certainly interesting ideas on it (I just bought a used 50/1.4D to try out because of it), but I think the technical explanations you give are not correct. They sound like they’re based on Ken Wheeler/The Angry Photographer’s explanations, which are mostly incorrect (and contradict well-established physics) even if the lens qualities he prizes and observes are true. First, as I mentioned in the comment I left on your latest post, I think there is an exposure difference between the two lenses. If there isn’t, then the Zeiss has more microcontrast, because the Nikkor is basically rounding shadows down to black. I’ve observed this in other Nikkors I’ve used especially the modern ones: they have a big punchy look that is very appealing. I bought my 24 PC-E primarily for this quality. Other photographers have also remarked on the highlight microcontrast of Zeiss lenses in how they maintain separation in highlight tones, so we have two different anecdotes at odds here. 1. Object space: this is the real world. It’s the 3D scene you’re trying to capture. 2. Image space: this is the 2D image that is projected onto the image sensor. There is no 3D information directly retained here. A lens projects a scene in object space into image space. Light rays bouncing off real-world objects enter the lens, and get projected onto a sensor and turned into a 2D representation. The 2D image is in image space. Lens resolution is the ability of the lens to distinguish small detail in the real world and project that difference onto the sensor (in image space). Let’s take a very simple example: say we have one pin point light source shining into the lens (cf. an optical bench like LensRentals’s OLAF). Resolution could be measured by how close to a pin point shape the lens can project onto the sensor: LR’s posted photos of various point-spread functions from various lenses and how they vary across the frame. You could have two pin points, and move them closer together until the lens renders them as one point, and that might be another way to measure the resolution of the lens. You could look at an entire array of pin points too. The more the pin point spreads and less of a sharp point, the less resolution you have since spreads will overlap and mask any separation between pin points in object space. Microcontrast is a measure of the smallest difference in brightness you can distinguish. Think of a single pixel: what is the brightness of the pixel? If you can distinguish 4 levels of brightness of that pixel vs. 16 levels, the 4 levels case has less microcontrast. This can also be applied across pixels in space: with two pixels next to each other, how close in brightness can the pixels get to each other before they become indistinguishable? It’s this brightness range across a range of pixels in space that I think of as tonality. If you have a bunch of pixels that can only render 2 levels (like a B&W newspaper), that has much rougher (or crunchier) tonality than a continuous tone print that can render dozens of different levels. Lens microcontrast is what the lens does to the brightness of the light ray passing through it. If the lens has flare that tends to make highlights the same kind of brightness perhaps by reducing contrast, then that lens has less highlight microcontrast. If the lens tends to make dark greys into blacks, then that lens has less shadow microcontrast. The behavior of the lens can be very complicated, and these are just simple examples for the sake of explanation of the concept. I think you can begin to see how resolution is related to microcontrast and tonality from this explanation. A low resolution lens or sensor cannot distinguish between two close details in the real world. So if those things cannot be separated as two distinct things, then we cannot say anything about their brightness differences. If we cannot say anything about their brightness differences, then we cannot say anything about their tonality. All else being equal, more resolution means better tonality. More microcontrast can also give you more resolution. But not everything is equal. What Ming says above about sensor well depth affects tonality since the sensor still has to measure the brightness differences that the lens is projecting onto it. And the sensor has to be of sufficient resolution that the tonal range you’re trying to record can actually be recorded: the sensor must be able to distinguish where in space the brightness difference occurs. Think of an extreme example of a 2-pixel array vs. a 1000-pixel array trying to see a scene that has a smooth ramp from pure white to pure black. The 2-pixel array will render that ramp as a black and a white. Hope this is somewhat clear! Sigh. I don’t think comparisons done in a non-scientific way are valid. Firstly, you missed focus noticeably with the otus 28, which already throws microcontrast out of the window. Secondly, you really need to use a tripod at shoot at base ISO to rule out hand shake. 1- The 300% zoom-in on the eyes clearly shows focus has been nailed at f5.6. 2- F5.6 at 28mm displays a wide enough DOF to include a large portion of the subject in focus. 3- No indication of handshake is visible at the 300% zoom-in and most of the it is minimized by the 1/3FL shutter speed rule. Now on the RAW files. 1- Micro-contrast continues to separate tones regardless of resolution. It’s tonal not pixel. 2- At 300% pixel level, the tonal shifts of the older Nikkor 28mm are clearly more perceptible. I encourage you to repeat the test and look at it open-minded from my suggested perspective as it will solve your tonality issue. Unlike DXOMark irreproducible tests, you have more than the proper equipment and shot discipline to reproduce this and display the photography. My work is done here for now as we are both working professionals with other images to take care of. The sigma tripod comparison will show up eventually. The crops you post clearly show a focus miss – especially the eye. I don’t like the rendering of Nikon 1.8G lenses, AFD lenses have filmy look, Zeiss wise, the ZE/ZF series have superb, classic rendering, 50mm/85mm 1.4ZF though does not perform well in lab tests, it has the classic, unique rendering. It’s an element count issue affecting color and micro-contrast. Thoughts? I think you’ve produced practically all the thoughts there are on this topic, Ming – and set them out in a thoughtful and thought provoking way. I can only sit this one out, enviously – as I’ve retired, I no longer have the luxury of buying “whatever I want” and I am left to enjoy “what I have”. Which isn’t really all that hard, since I have re-equipped over the past 12 or 18 months. I can relate to your comments – having used a two & a quarter square for some years, as well as a brief fling with a Linhof 4×5 studio cam, and a variety of large format roll film cams. I won’t be able to indulge myself with them, again, though. Instead, I’m having a wonderful time exploring what I can do with my D7200 with its kit zoom, and my full frame with its selection of prime lenses. LOL – you will appreciate that this is not what you’d call “hard”! I can also recall a comment by one of the American pros who was attempting to answer a query on whether more pixels equals better photographs – and at a certain point he seemed to lose patience with the nature of the inquiry, simply suggesting that if they wanted a sharper image they should get a medium format cam, whack on a cheap lens off E-Bay and they’d get an image far sharper than any digital DSLR could ever produce. There may be other approaches I’ve missed. I’m not quite sure the last comment is true anymore – but at the time it might well have been. Can I send you a photo I took with my GR? Should I send it in an email? I am interested in a brief criticism of how I am doing with your tutorials. I generally don’t do this outside the structured education programs, but sure, send me an email.